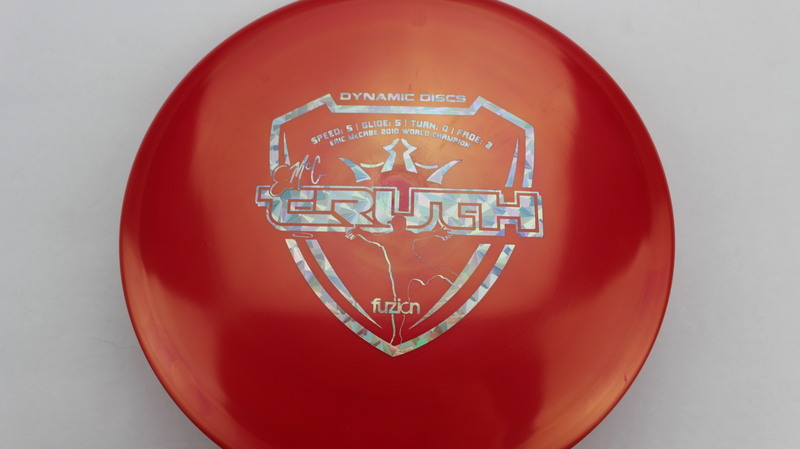 EMac Truth – This disc was made because the standard Truth mold ended up being not quite as Overstable as intended. 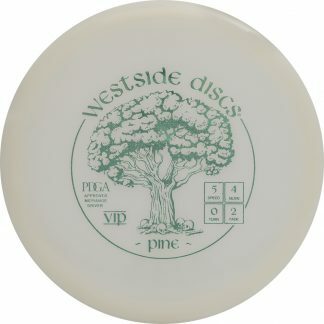 The story goes like this: Eric McCabe had a stack of only First Run Truths and they fly exactly how he wants them to. The production runs of the Truth came out a bit more Understable than the first runs but he never noticed due to his supply of first runs =P. 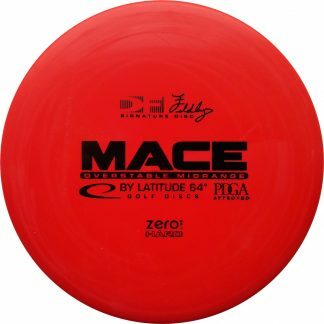 He was made aware of the difference and they came out with a retooled mold, the EMac Truth! 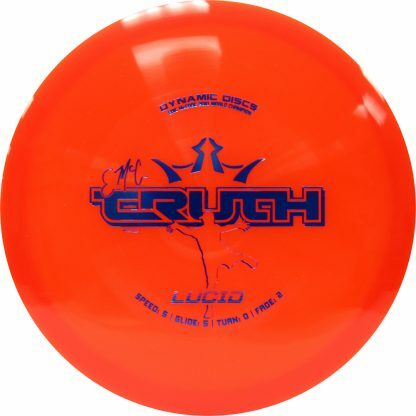 The Truth is a popular enough mold on it’s own so Dynamic Discs did not want to do away with it. 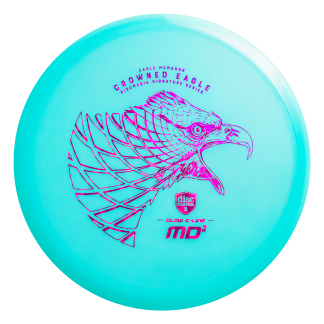 The EMac Truth has a very comfortable Micro Bead rim and a great feel in the hand. 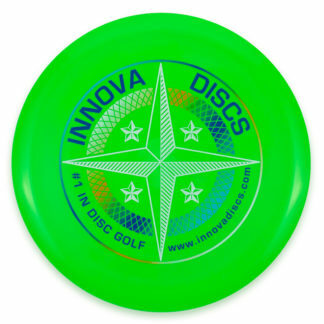 The flight of this disc is very straight with a reliable Fade finish. 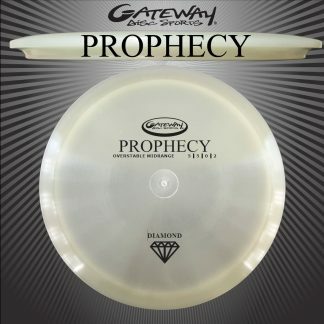 If you like the Truth mold but need a touch more Overstable in your life, try the EMac version! 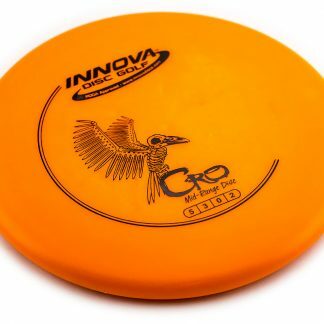 Very similar feel in the hand but a slightly different flight. Yellow Lucid Silver Fracture 177g Neutral Flatness Neutral Stiffness $14.68 Just 1 left! Red Fuzion Silver Fracture 178g Neutral Flatness Neutral Stiffness $16.51 Just 1 left! 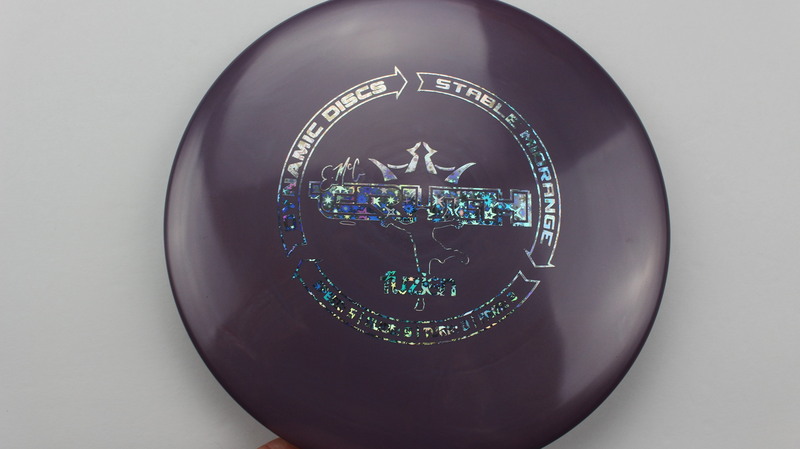 Purple BioFuzion Silver Stars 178g Somewhat Domey Neutral Stiffness $12.84 Just 1 left! 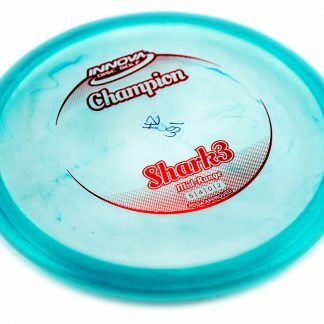 The EMAC Truth is an amazing mid. My current favorite. 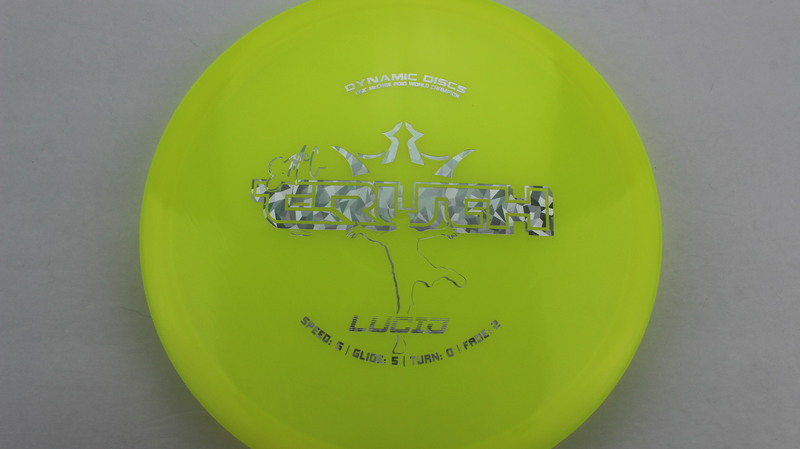 This Lucid is more overstable than my Fuzion. 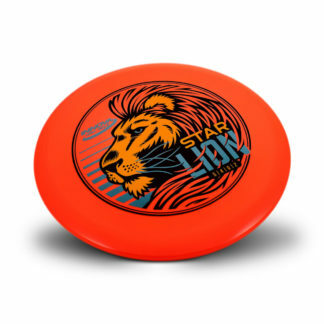 I imagine this disc will stay in my bag for a long time. 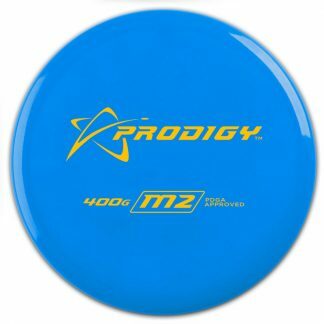 Still pretty new to the bag, but it definitely has a slot as far as straight mid range discs go.